I'm so excited to offer this amazing club to my amazing clients - and have the honour of photographing your little love for the duration of their first year. The newborn phase is life altering and beautiful, but it is also sometimes the calm before the storm - before they are teething and crawling, sitting up and trying to speak! It's in these busier, more frantic times that you can forget to sit back and absorb it all. 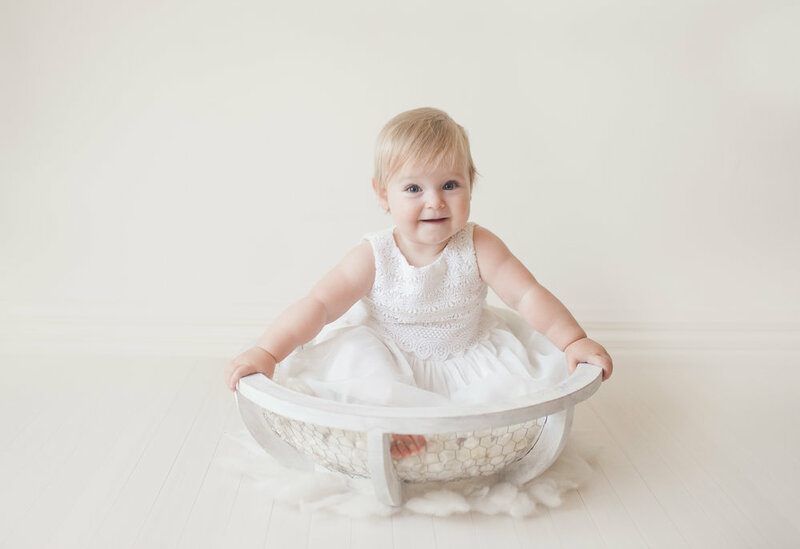 These sessions take the pressure off you and we'll capture your little one's first year and all those changes in a simple, tailored baby plan. Payment is split over the 12 Months! The first stage is one of the most adorable - the happy, bubbly 6 month old whose personality is revealing itself to you every day! At 9 months we focus on your growing relationship with your little one and offer a simple, styled session in my studio with your little love, their mama or family. We celebrate you making it through one of the hardest and wonderful years of your life - your little love's first year. For $895 you receive SO many things..
- Sessions at 6, 9 and 12 months! - A beautiful year end keepsake album with images from each sessions (can include newborn). - A goodie bag with lotsa local goodies!